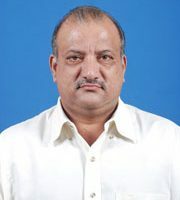 Mayurbhanj: Biju Janata Dal (BJD) MLA Praveen Chandra Bhanjdeo on Monday resigned from the primary membership of the party and Mayurbhanj district president post. Bhanjdeo, MLA from Morada assembly constituency, sent his resignation letter to BJD president Naveen Patnaik. The move of Bhanjdeo came after former BJP state vice president Rajkishore Das joined the ruling party. According to sources, BJD is planning to allocate the Morada party ticket to Das.